ROME – Tuscan-born director and screenwriter, Vittorio Taviani, died aged 88 on Sunday, his family said. Along with his brother, Paolo, (86), he was renowned for being one of the most beloved and admired champions of Italian cinema and culture. Together the duo created masterpieces such as I sovversivi (1967), San Michele aveva un gallo (1972), Allonsanfan (1974), Padre padrone (1977), La notte di San Lorenzo (1982), Kaos (1984), Le affinità elettive (1996), Cesare deve morire (2012), Maraviglioso Boccaccio (2015) and Una questione privata (2017). Vittorio had been ill for quite some time. Last year he co-directed his last film from home with the help of his older brother. 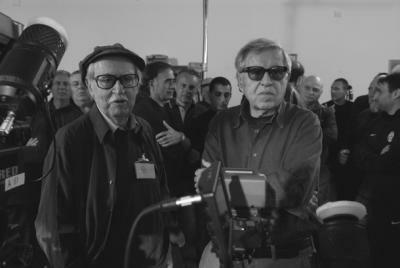 Although Paolo directed the bulk of the film, Vittorio would reportedly revise the scenes back at home and pick up on anything he didn’t like. The news of Vittorio’s death was announced by his daughter Giovanna on Sunday. Speaking on behalf of their family she said that the director’s body would be cremated, however, no public funeral or celebrations would take place. The Taviani brothers were born into an anti-fascist family in San Miniato, Tuscany. Their sense of social justice and love of culture were nurtured here first, before later being translated into their films. Indeed, their cinema focuses largely on themes such as social injustice, defence of the weak, class struggle and civil commitment. The brothers, who were joined at the hip throughout their 50-year career, won a series of impressive awards for their films, as well as various nominations. At the Cannes Film Festival they won the Palme d’Or for Padre Padrone in 1977, a story of a Sardinian boy who rebels against being exploited by his Sardinian father on their remote family farm on the island, and in 1982 the Grand Prix for La notte di San Lorenzo. In 2012, they won the Golden Bear at the Berlin International Film Festival for Cesare non deve morire, which was set in the prison of Rebibbia and interpreted by the inmates themselves.